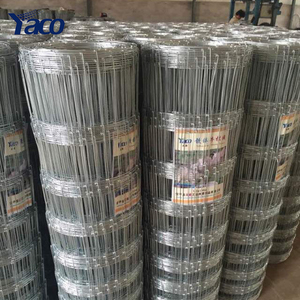 Galvanized Grassland Cattle Fence F ence are made of hot-dipped zinc coated steel wire, offer high strength and tensile strength, provide safety fencing against fierce striking of cattle, horse or goats. 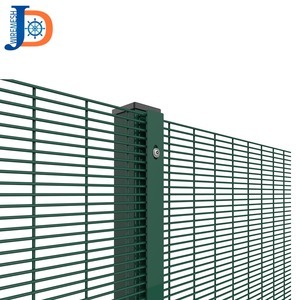 Wire mesh cattle feed fence also can be called feild fence, farm fence, grassland fence and knotted wire mesh fence. 1 . Opening in cm : (Warp) 15-14-13-11-10-8-6; (weft) 15-18-20-40-50-60-65; 2.Fence height: 0.8m, 0.9m, 1.0m, 1.1m, 1.2m, 1.5m; 3.Length: 115 inch (50m) or 330 inch (100m); Sizes of mesh opening, roll height and length can be customized . You can offer your design and we will produce as required. We can according to your specification give you a similar price. 2. You can send us a drawing; we can according to your drawing give you one price. 3 YRS Hebei Chemtech Wencheng Trading Co., Ltd.
Q3: How to proceed an order 9 A: Firstly let us know your requirements or application. Secondly We quote according to your requirements or our suggestions. Secondly, during the guarantee period, we will send new goods with new order for small quantity. The clamps and rainhat can be steel or plastic. 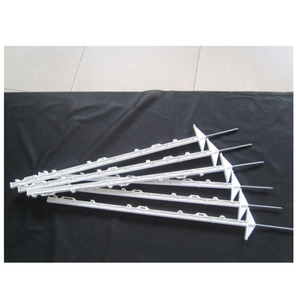 P ost clamp is used for connecting post and post, fence and fence. R ound, sqaure clamps and caps are used for round and square posts. 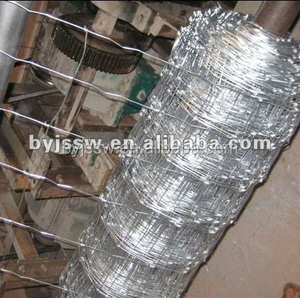 8 YRS Hebei Tengfei Wire Mesh Co., Ltd.
Alibaba China - Y Section Iron Poles Y Star Pickets Cattle Fence Post Cattle Fence Pole Farm Fence Post Product Overviews 1. Type: Y post 2. Material: low carbon steel, Q235, Q195, Q215. 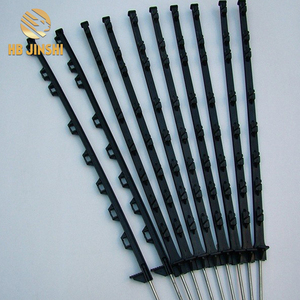 3.Surface finish: black/PVC-Coated/hot dip galvanized/bituminous painted. 4.Usage: fence for gardens and houses to security and protection. 5.Packing: 10pcs/Bundle,40bundles; 400pcs/big bundle 6.Specifications: SPEC 2.04kg/M 1.90kg/M 1.86kg/M 1.58kg/M Size 28*28*30mm 28*28*30mm 28*28*30mm 28*28*30mm Thickness 3mm 2.6mm 2.5mm 2.3mm Length 0.45M 0.60M 0.90M 1.35M 1.50M 1.65M 1.80M 2.10M 2.40M Holes (Australia) 2 3 5 11 14 14 14 7 7 Holes (New Zealand) 7 7 7 8 Measurement Star Picket (Australia & New Zealand) Length 0.45M 0.60M 0.90M 1.35M 1.50M 1.65M 1.80M 2.10M 2.40M 2.70M 3.00M SPEC PCS/MT PCS/MT PCS/MT PCS/MT PCS/MT PCS/MT PCS/MT PCS/MT PCS/MT PCS/MT PCS/MT 2.04kg/M 1089 816 544 363 326 297 272 233 204 181 163 1.90kg/M 1169 877 584 389 350 319 292 250 219 195 175 1.86kg/M 1194 896 597 398 358 325 298 256 224 199 179 1.58kg/M 1406 1054 703 468 422 383 351 301 263 234 211 Pictures showing: Packing: This is Besty and Contact me for a quote. 9 YRS Qingdao Shengtai Metalwork Co., Ltd. The balance payment will be paid after your confirmation, and we will arrange the air freight or sea freight accordingly to the CBM of the goods. 4. How do we ship the goods9 We will quote you the ocean freight, if the goods is not large, it will be loaded by air freight or Express. 5. How do we go to your factory for visiting9 Please inform me your flight time, we will pick you up at our nearby airport, then drive to our factory for visiting. 11 YRS Qingdao Newtech Metal Products Co., Ltd.
3) Do we supply after- sales service9 It is depends on different products. 4) Do we supply other extra services9 We can provide design for client. We can manufacture according to client&rsquo;s requirements. 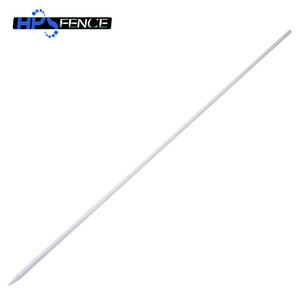 Alibaba.com offers 2,974 cattle fence post products. About 79% of these are fencing, trellis & gates, 1% are steel pipes. 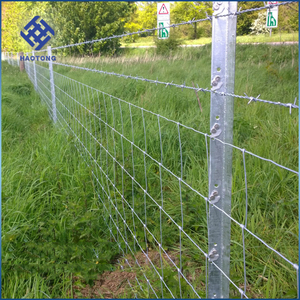 A wide variety of cattle fence post options are available to you, such as free samples, paid samples. 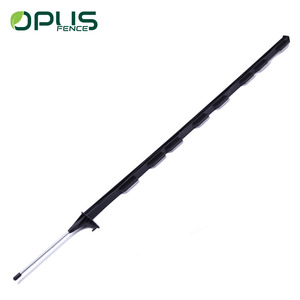 There are 2,974 cattle fence post suppliers, mainly located in Asia. The top supplying country is China (Mainland), which supply 100% of cattle fence post respectively. 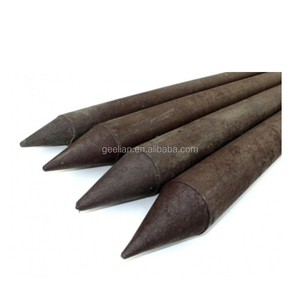 Cattle fence post products are most popular in Oceania, North America, and Western Europe. You can ensure product safety by selecting from certified suppliers, including 920 with ISO9001, 415 with Other, and 287 with ISO14001 certification.